Yes, we are still accepting new clients with Chinese drywall claims against ALL DEFENDANTS in 2019. Active claims against: Knauf, Taishan, Taian Taishan, Taihe, BNBM, Dragon, C & K, Crescent City Gypsum, DUN, IMT, Venture Supply, Pro Wall and "Made In China" drywall. Was your home built with Chinese drywall in 2001-2008? 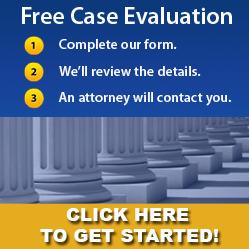 Call Doyle Law toll free at (888) 633-5204. We're still accepting clients in all states, including those most affected by defective Chinese drywall - Alabama, Florida, Georgia, Louisiana, Mississippi and Texas. We've previously reached settlements with a manufacturer (Knauf), and hundreds of importers, distributors builders, and subcontractors in the Chinese drywall litigation, but it's not too late to file a claim of your own if you've recently discovered that your home has defective Chinese-made drywall. If you have recently learned that your home has toxic, reactive, defective Chinese drywall, now is the time to file your claim regarding your Chinese drywall issues. Eventually, the remediation funds set aside by these businesses will be exhausted. Without the ability to recover the full damages (including those from manufacturers), there may not be enough money in the future to fully fix (remediate) your home and compensate you for your personal property losses. We can fight for you to get the full compensation you deserve, but you must not procrastine and miss your opportunity. Do not put off calling us for another day. Drywall is a widely used construction material that is also known as gypsum board, wallboard, plasterboard, and sheetrock. A drywall panel is composed of a layer of hardened gypsum plaster sandwiched between two layers of paper liner. Gypsum is a hydrated calcium sulfate, composed of two molecules of water (H2O) and one of calcium sulfate (CaSO4). The gypsum used to make drywall can be created both naturally and synthetically. Naturally occurring gypsum is a deposit largely the result of the evaporation of water in ancient inland seas which contains large amounts of dissolved gypsum. Synthetic gypsum is chemically identical to mineral gypsum, but the amount and types of trace materials and unreacted sorbents found in the source material can vary among power plants and among mines from which it originates.Synthetic gypsum is generally obtained in the final stage of industrial processes, where sulfuric acid is neutralized by a calcium salt; for example it is produced as a byproduct of coal combustion power plants. To make drywall from gypsum, first gypsum is crushed or ground up and heated to about 350 degrees Fahrenheit to remove approximately seventy-five percent (75%) of its water content in a process called calcining, thereafter becoming a fine white powder. Second, the calcined gypsum is mixed with water, foam, and other additives to form a slurry which is fed between continuous sheets of paper on a continuous belt line. Third, as the board moves down the belt line, the calcined gypsum recrystalizes or rehydrates, reverting to its original gypsum state, and the paper sheets become firmly bonded to the rehydrated core. Finally, the board is cut to length and conveyed through dryers to remove free moisture. Historically, gypsum was used as far back as 3700 B.C. by the Egyptians as a base to preserve the wall murals in the pyramids. The Roman Empire used gypsum for interior purposes, such as the interior walls of Pompeii. There is little information of the use of gypsum plaster during the Middle Ages. The modern science of gypsum began with the discoveries by Antoine Lavoisier outlined in his two papers on gypsum presented to the French Academy of Sciences in 1765 and 1766. In the United States, the use of gypsum board started in the early 1950s and was driven by the following issues, (1) avoiding the drying time of plaster which allowed earlier occupancy of buildings, and (2) the lack of skilled plasterers in many locations. Gypsum is fire resistant, thus making it a preferable material for drywall. Since the 1950’s, drywall has become a primary source material for buildings in the United States. Due to a shortage of U.S.-manufactured drywall in the early to mid 2000's, Chinese-manufactured drywall was brought into the United States to meet the demand. Drywall manufactured in China is simply a building product used to create the walls in a home. Tainted Chinese drywall is no different in appearance than domestic U.S.-made drywall. The problem with some of the imported sheetrock from China is the composition of the gypsum material inside the sheetrock - it contains contaminants that should have been cleaned/removed during the manufacturing process. Over time, the defective drywall materials undergo a chemical process and it will "off-gas" noxious fumes that are harmful to people and are reactive with certain metals inside a home. From 2004 through 2006, the housing boom in Florida and rebuilding efforts necessitated by Hurricanes Rita and Katrina led to a shortage of construction materials, including drywall. As a result, drywall manufactured in China was brought into the United States and used in the construction and refurbishing of homes in coastal areas of the country, notably the Gulf Coast and East Coast. Sometime after the installation of the Chinese drywall, homeowners began to complain of emissions of smelly gasses, the corrosion and blackening of metal wiring, surfaces, and objects, and the breaking down of appliances and electrical devices in their homes. The Chinese drywall at issue was largely manufactured by two groups of defendants: (1) the Knauf Entities, and (2) the Taishan Entities. The Knauf Entities are German-based, international manufacturers of building products, including drywall, whose Chinese subsidiary, Knauf Plasterboard (Tianjin) Co., Ltd. (“KPT”), advertised and sold its Chinese drywall in the United States. The Knauf Entities are named defendants in numerous cases consolidated with the MDL litigation and litigation in state courts. On December 20, 2011, the Knauf Entities entered into a global, class Settlement Agreement (“Knauf Settlement Agreement”), which was designed to resolve all Knauf-related, Chinese drywall claims that were filed before that date. In addition to the Knauf Settlement Agreement, numerous defendants in the chain-of-commerce with the Knauf Entities have entered into class settlement agreements, the effect of which settles almost all of the Knauf Entities’ chain-of-commerce litigation that was pending at that time. The additional class action settlement agreements involved the following defendants and in most cases, their insurers: Interior Exterior Building Supply, LP (“Interior Exterior”); the Banner Entities; L&W Supply Corp. and USG Corp.; and a group of numerous homebuilders, installers, suppliers. The claims against the non-manufacturering defendants were certified as a true class action, but the same is not true involving the the Knauf entities. It was essentially a group settlement; thus, home owners that have recently discovered the existence of KPT drywall in their homes after the settlement date may file their own lawsuit against the manufacturers. It is not too late, provided the statute of limitations has not yet expired. The Chinese Drywall Attorneys at Doyle Law Firm, PC continue to evaluate and file new claims on behalf of home owners who have recently discovered defective Chinese-made sheetrock in their homes made by the Knauf entities. Call us today for a free consultation. The Chinese Defendants in this litigation include the principal Chinese-based Defendant Taishan Gypsum Co. Ltd. (“TG”) and its wholly-owned subsidiary, Taian Taishan Plasterboard Co., Ltd. (“TTP”) (collectively “Taishan” or “Taishan Entities”). Other Chinese-based Defendants include the CNBM Defendants (“CNBM”), comprised of the China National Building Materials Group Corporation, China National Building Materials Company Limited, China National Building Materials & Equipment Import & Export Corporation, and CNBM Forest Products (Canada) Ltd; and the BNBM Defendants (“BNMB”), comprised of Beijing New Building Materials Public Limited Company, and Beijing New Building Material (Group) Co. Ltd. The course of the litigation involving the Taishan Entities and other Chinese-based defendants has not followed the same trajectory or enjoyed the same measure of resolution as that involving the Knauf Entities; however, significant progress has been made recently after the Taishan Defendants were twice defeated in the 5th Circuit Court of Appeals on jurisdictional issues. Formal personal jurisdiction discovery of Taishan began in October 2010. Discovery included the production of both written and electronic documents, as well as depositions of Taishan’s corporate representatives, with each type of discovery proceeding in a parallel fashion. This discovery has often been contentious, requiring close supervision by the Court. The consolidated Multi-District Court has presided over regularly-scheduled status conferences to keep the parties on track, and conducted hearings and issued rulings to resolve numerous discovery-related disputes over the course of the litigation. In April 2012, TG and TTP re-filed various motions: a motion to dismiss for lack of personal jurisdiction, a motion to vacate the entry of default and to dismiss the action in Mitchell, a motion to dismiss the pending consolidated complaints. Responses in opposition were filed by the Plaintiffs' representative counsel, Interior Exterior, the Banner Entities, and Certain Florida Homebuilders, with other parties joining in these motions, including the State of Louisiana (collectively the “Respondents”). On September 4, 2012, the MDL Court issued a 142-page order denying the Defenants on all claims. In addition, the MDL court also ruled that TTP was operating as the alter ego of TG. The Fifth Circuit Court of Appeals was once again called upon to review the trial court's rulings and, once again, they ruled in favor of the plaintiffs. Jurisdicion over these defendants is now clearly appropriate. On July 23, 2014, Plaintiffs filed a Motion for Class Certification and when the Taishan Defendants did not appear, the motion was granted. Officially, the MDL-2047 Court certified a class of “[a]ll owners of real properties in the United States, who are named Plaintiffs [in the various MDL complaints] asserting claims for remediated damages arising from, or otherwise related to [Taishan] drywall. Because the motion to certify was unopposed, the court issued an entry of default. The second step in this process was a class damages hearing. The court scheduled the damages hearing for February 12, 2015, and on that date, BNBM entered an appearance for the first time in this litigation. The court held a damages hearing on June 9, 2015, and it's now on the cusp of entering the judgment against these Taishan defendants. So, those with filed claims should finally get the justice they've been seeking for years. The Chinese Drywall Attorneys at Doyle Law Firm, PC continue to evaluate and file new claims on behalf of home owners who have recently discovered defective Chinese-made sheetrock in their homes made by the Taishan entities. Call us today for a free consultation. Was drywall hung in your home in either 2001-02 or 2006-2007? 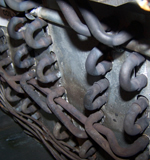 Have you lost air conditioning coils (which should last 15-20 years)? Have you lost appliances and electronics? Have you noticed corrosion on the copper or silver in your home? Is your family suffering from health problems (headaches, eye irritation, nosebleeds, breathing problems, skin rashes)? If the answers to any/all of these questions is "yes," then you may have Chinese drywall in your home. Still not sure? Certified Chinese drywall inspectors in every affected state continue to actively test homes for defective chinese drywall and we can help you determine whether an inspection would be beneficial to you. Call us today toll free at (888) 633-5204 to discuss the issues you're experiencing. We are still accepting and filing new Chinese Drywall cases. If you are concerned that you may have Chinese drywall, call us. Our Chinese drywall attorneys currently represent hundreds of home owners across the Gulf Coast of the Southeastern United States and we can help you too. How Much Defective Chinese Drywall Was Imported? It is a fact that more than 500 million pounds of defective Chinese sheetrock came into the U.S. ports from China. It was distributed to at least seven states and used in the construction of homes, apartments, and condominiums during the height of the U.S. housing boom in 2006 alone. It is clear through our investigation (based on the homeowners we represent) that the defective Chinese drywall was imported and used primarily from late-2005 until early-2008 in the states of Florida, Texas, Louisiana, Mississippi, Alabama, and Georgia . The Associated Press reported more than half a billion pounds of drywall imported from China was used in the building of an estimated 100,000 U.S. homes. These homes with the drywall problems are located mostly in the south along the Gulf Coast, according to the Miami Herald, which reports that "millions of square feet of drywall were imported into the United States during the housing boom and following catastrophic hurricane seasons," because American manufacturers could not keep up with the demand for building materials. Much of the sheetrock from China has still not been found and many home owners continue to unknowingly endure the symptoms of Chinese drywall. We are still actively evaluating and filing Chinese drywall cases....The problem with Chinese drywall is that it emits sulfur-based gases that are harmful to both the occupants and the property itself. The reason that the drywall is harmful is because the ingredients in the drywall continually undergo a chemical reaction and noxious fumes are released, often referred to as "off-gassing." Those fumes, once airborne, travel throughout the house and and do one of four things: 1) react with metals (silver, nickel, zinc or copper); 2) are absorbed by cloth or carpeting; 3) are inhaled by the occupants; or 4) are released into the environment through an open window or door. There's really nothing else for it to do. Because Chinese drywall emits hydrogen sulfide fumes, it could be a serious problem for home owners. Exposure to 50 parts per million (ppm) of hydrogen sulfide for more than ten minutes can cause extreme nasal irritation. Furthermore, inhalation of 500 to 1,000 ppm can cause unconsciousness and death through respiratory paralysis and asphyxiation, according to environmental experts. Noxious fumes causing skin irritation, including skin rashes. Deadlines Are Approaching Fast!If your house was built in either 2001-02 or late-2005 to early-08, and you have identified either Chinese drywall markings or the corrosion described above, it should raise a red flag with you. Get your home inspected and file your claim immediately. Time is running out! For a free legal consultation, contact any of our offices: Miami, Florida; Houston, Texas; Atlanta, Georgia; or Birmingha, Alabama. Request a certification from an environmental engineer or certified inspector declaring the home free of contaminants. If you have any concern that your home contains defective Chinese drywall, get your home tested - immediately. We can refer you to a trained and qualified Chinese drywall inspector in your area. We've worked with inspectors in every state affected by toxic Chinese drywall. Experienced Chinese drywall inspectors continue to test for Chinese drywall throughout the southeast in Georgia, Alabama, Mississippi, Florida, Louisiana, and Texas. Your opportunity to recover from a menufacturer of defective drywall is running out, so don't procrastinate. If you have questions about the Chinese drywall issues listed above and feel that you might have a home containing sheetrock from China, contact our Chinese drywall law firm. The consultation is free. We represent homeowners in Florida, Texas, Louisiana, Alabama, Mississippi, and Georgia. We continue to accept new clients and file new Chinese Drywall Lawsuits. Doyle Law Firm's Chinese drywall lawyers continue evaluate claims from every southeastern state. But, the use of defective Chinese drywall was not limited to just those areas. If you suspect that your home contains defective Chinese drywall, call one of our Chinese drywall attorneys in our Birmingham, Alabama office at (205) 533-9500. Our firm has handled defective toxic Chinese drywall claims for Florida residents from one end of the state to the other: from Pensacola to Ft. Myers; from Orlando to Naples; from Homestead to Jacksonville. If you have a home built or remodeled and it now contains Chinese drywall, our Chinese drywall attorneys would like to speak with you. Our firm continues to file claims for home owners in the Tampa, Ft. Myers, Miami, Port St. Lucie, Pensacola, and Orlando areas. Call our Miami, Florida office to discuss your case at (305) 677-3388. The consultation is free. Recently, our firm has identified defective, imported sheetrock in multiple locations throughout the state of Georgia. If you have a home built or remodeled with Chinese drywall, our firm continues to evaluate and file claims for home owners in the Alpharetta, Atlanta, Auburn, Buford, Columbus, Douglasville, Hampton, Kennesaw, McDonough, St. Simons Island, Sugar Hill, Watkinsville, Winder and Woodstock areas. Call our tainted drywall attorneys in our Atlanta, Georgia office at (678) 799-7676 for a free consultation. Our Mississippi Chinese drywall lawyers represent home owners in the Bay St. Louis, Biloxi, Diamondhead, Gautier, Gulfport, Hattiesburg, Kiln, Long Beach, Lucedale, Moss Point, Ocean Springs, Pascagoula, Pass Christian, Perkinston, Picayune, Saucier, Vancleave, and Waveland areas. As with the other gulf coast states (except Florida), Interior Exterior Building Supply of Louisiana was the major importer and supplier of defective sheetrock to home builders during the end stages of the housing boom between late 2005 and late 2007. If you are experiencing Chinese drywall symptoms in your Mississippi home, call our Mississippi Chinese drywall attorneys for a free consultation at toll free (888) 633-5204. Doyle Law Firm, PC now has an office in Houston, Texas handling Defective Chinese Drywall cases for Texas residents. We'll continue to represent even more Texas home owners struggling to cope with the effects of tainted Chinese drywall. Defective sheetrock manufactured in China has been confirmed in the following areas: Alvin, Baytown, Conroe, Crosby, Cypress, Dickinson, Dayton, Fresno, Friendswood, Houston, Humble, Jersey Village, Katy, Kingwood, Kerrville, League City, Magnolia, Mission, Missouri City, pasadena, Pearland, Port Neches, Porter, Richmond, Rosharon, Spring, Sugarland, Texarkana, Tomball and Tyler. We expect to find even more defective drywall in east Texas and we'll continue to file cases in the near future. If you recently learned that your home was built or remodeled with Chinese drywall, we want to talk with you. Call our Houston, Texas office for a free consultation today at (832) 295-9755. New Chinese Drywall Lawsuits Filed! Even though a broad settlement was reached with Knauf entities to provide relief to the 3,000+ home owners with cases filed on or before December 14, 2011, it does nothing for home owners that recently learned of Chinese drywall in their homes. Doyle Law Firm filed new lawsuits against the two major manufacturers and we still have the ability to amend the complaint with new claims, but you must act quickly if you wish to be added. We expect the Knauf entities to ultimately spend in excess of $1.5 Billion, when home owners either resolve all claims through settlements or through jury trials. 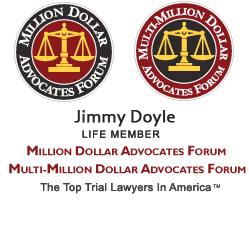 Doyle Law Firm will be at the forefront of this litigation as lead counsel in the active Chinese drywall lawsuits. Let us know if we can help you too. It is still possible to add new claims against the Knauf and Taishan defendants, but only before the lawsuits are settled or a jury returns a verdict. If you have confirmed Knauf Chinese Drywall or a Taishan Chinese Drywall product (Shangdong Taihe, Taihe, Taian Taishan, Taishan Gypsum Company, Crescent City Gypsum, IMG, IMT, Pro Wall, C & K, Beijing New Building Materials, or Venture Supply, Inc.) in your home, call today to discuss your options. Every state has a statute of limitations that will time bar your claim if you allow it to expire, so call today before it's too late. Knauf Plasterboard Tianjin agreed to a pilot remediation program in December 2010. That settlement has led to over 3,000 homes being cleansed of the effects of defective sheetrock that caused harm to the homes and home owners. The value of this settlement has now surpassed the $1.2 Billion mark and the total continues to grow as more Doyle Firm clients are qualifying for settlement benefits. Doyle Law's Knauf complaint seeks a jury verdict to impose punitive damages against Knauf Plasterboard Tianjin for the fraudulent dealings and continued marketing of a defective product in the U.S. Doyle Law will lead the charge and continue its efforts until ALL of its clients' claims are fully and satisfactorily resolved. Interior Exterior Building Supply, one of the major importers and suppliers of defective, toxic Chinese drywall agreed to settle claims. The total amount to be paid to affected home owners will be in the range between $8 million and $80 million, once all claims are evaluated. INEX supplied KPT sheetrock to builders and other distributors in the states of Florida, Georgia, Alabama, Mississippi, Louisiana, and Texas. Banner Supply Company operates throughout Florida and is another major importer and supplier of defective, reactive, toxic Chinese sheetrock. Banner Supply agreed to pay the limits of its insurance policies to settle claims against them related to Chinese drywall. The total amount to be paid to affected home owners is $54 million, but reduced to some degree by the cost of litigation. Banner is also moving forward with an independent action against Knauf for alleged FRAUD that they claim induced them to continue selling the bad KPT drywall after intial suspicions surfaced regarding the adequacy of the product. Doyle Law's new Knauf complaint seeks a jury verdict to impose punitive damages against Knauf Plasterboard Tianjin for the fraudulent dealings and continued marketing of a defective product in the U.S. Doyle Law will lead the charge and continue its efforts until its clients' claims are fully and satisfactorily resolved.